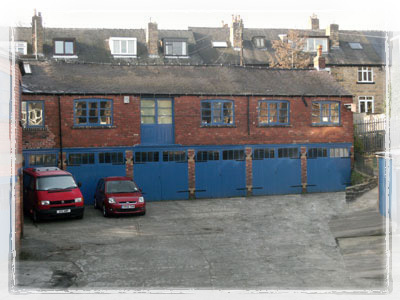 The studio is just off Nethergreen Road, halfway between the junctions with Hangingwater Road and Fulwood Road, in the yard belonging to Fulton and Sons Electrical Contractors. 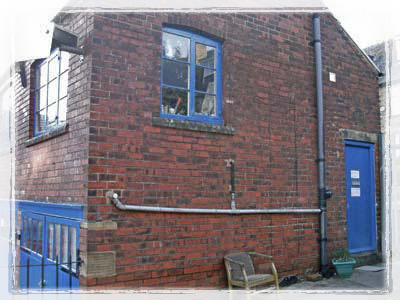 The studio is on the first floor of the building along the right hand side of the yard. 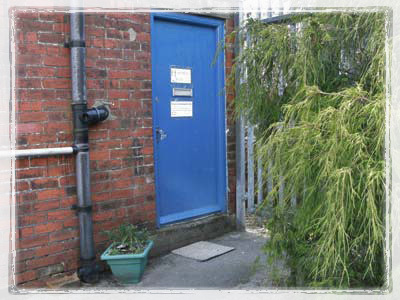 The entrance is up the path on the right hand end of the building as you approach it. Click Here to see us in Google Maps. Associate artists and art groups can be contacted at their individual listings. 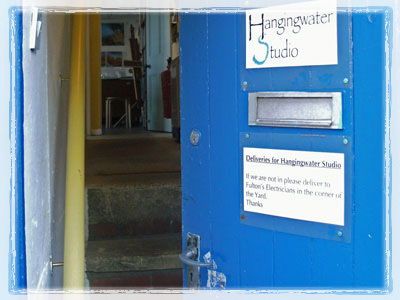 If you are interested in hiring the studio for art group meetings, demonstrations or workshops, contact Lena for availability and prices on 0114 230 3806, 07790 795025. 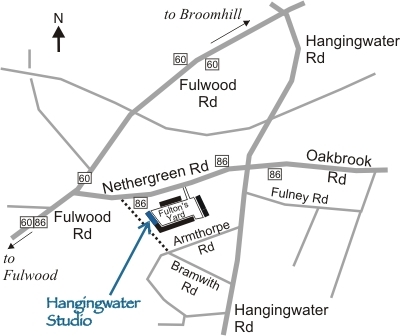 If you would like to come and see the studio for yourself. You are welcome! 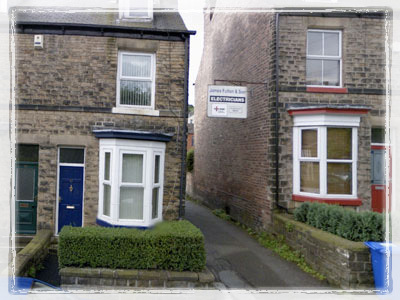 Contact us to arrange a visit!